Hello! I have another Decor To-Go design to share today. 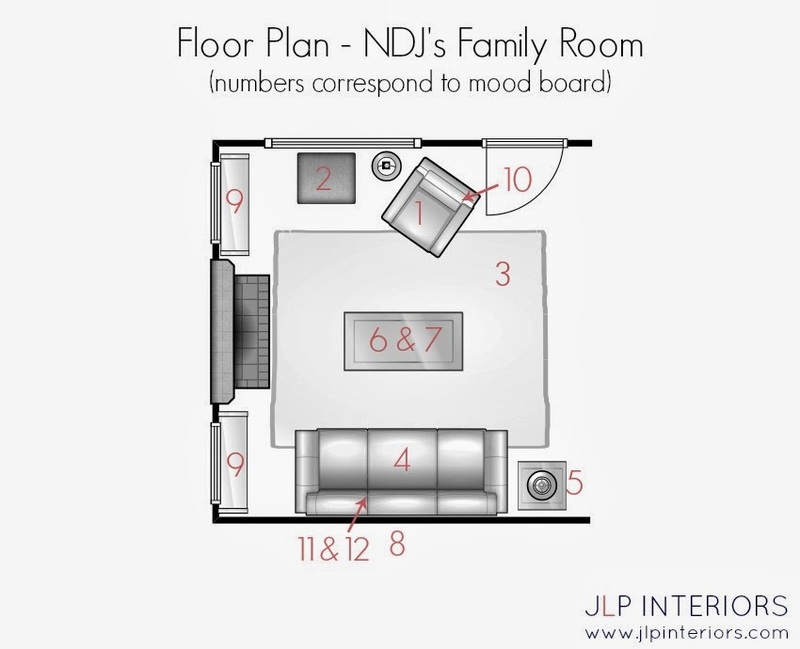 I helped my friend with designs for 4 spaces in her home. 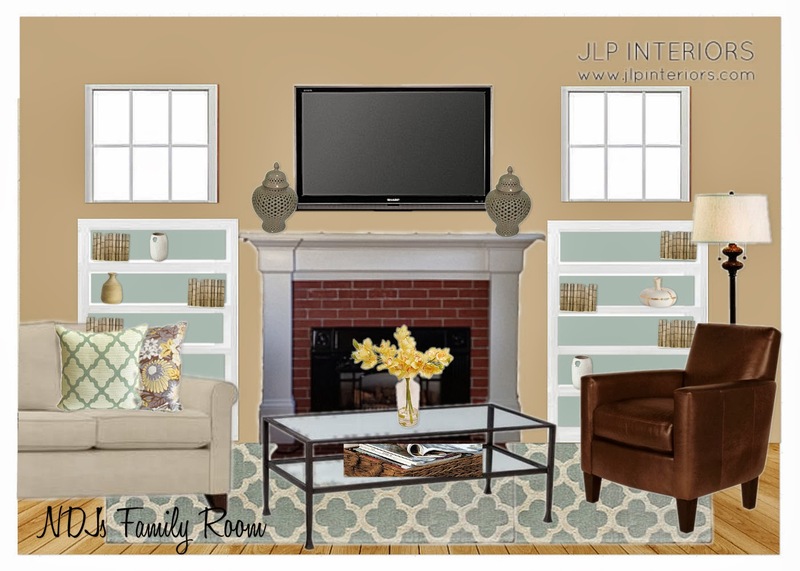 Last week I shared the kitchen/dining room design and the week before I shared the formal living room design. 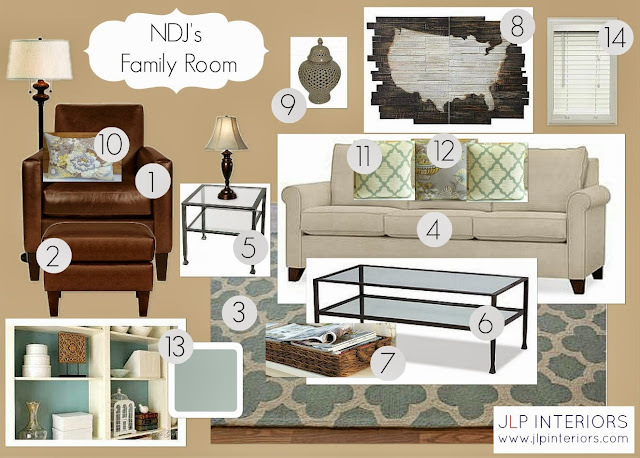 This week I'm sharing the family room design. Again, she wanted to go with a more "rustic and comfortable" style and likes blues, grays, whites, and wood tones. The family room is right off the kitchen and it's where they'll do their hanging out and tv watching. The walls are currently painted a tan color that she wants to keep. The room has a fireplace with bookshelves on either side so I suggested she paint the back of the bookshelves the same color as the kitchen walls (a light blue/gray color). She has a pair of table lamps and a floor lamp (similar to the ones shown above) that she asked me to incorporate into one of the designs. I thought they would look nice with the leather and rustic touches in this room. Next week I'll share the design for the master bedroom. If you're interested in my e-design services, please visit my website www.jlpinteriors.com or contact me @ jessica@jlpinteriors.com. That rug was one of the rugs I had considered for our living room. Love it. The room is going to be so pretty, and it looks like a really cozy tv room. Love all the warm and inviting combos of color and finishes! This will be a great space!